Four NIU tennis players – Nelle Youel, Dor Amir, Simon Formont and Frederic Cadieux – have been named to the Mid-American Conference all-academic teams. The hat trick for the men came after a successful season which saw the squad crowned regular season champions. Amir was honored for a second straight year. A finance major, Amir’s 3.38 GPA combined with his excellent play on the courts this season was enough to earn him a spot on the team. He played at Nos. 1, 2 and 3 in the 2013-14 season, going 19-11 overall individually. In doubles, he joined forces with teammate Axel Lagerlof to produce an 18-2 record. This tandem’s outstanding performance this season earned them a national ranking in doubles twice, peaking at No. 37. Cadieux also claimed a consecutive honor. A business major who just finished his junior year, Cadieux holds one of the highest GPAs on the team at 3.83. Cadieux led the team in singles victories in 2013-14, going 27-9 on the season. He went unbeaten at No. 2, finishing 8-0 in such affairs. Over in doubles, he and his partners went 16-8. Formont, who just completed his sophomore year, majors in finance and also holds a 3.83 GPA. It was a great year in singles for the Orleans, France native. He went 23-8 overall, and in the spring, he was nearly unstoppable. Shouldering the load at No. 5 and 6, Formont was 18-3 in spring singles contests. Jovan Zeljkovic also had a strong season on the courts and in the classroom. He was listed as an honorable mention on the MAC All-Academic team. On the women’s side, Youel earned her second straight year on the team. This comes after a strong year on the courts, one that earned her a spot on an All-MAC team. Youel owns a spotless 4.0 GPA as she majors in health sciences/pre-physical therapy. She went 15-10 during her junior year at NIU in singles. She played at No. 1 the entire season. In doubles, she finished the 2013-14 season at 15-11, playing out her matches with Arantza De La Torre. 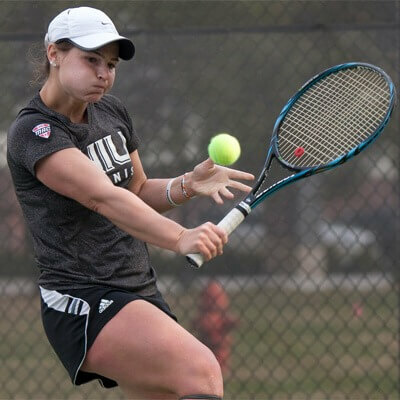 Youel is the second NIU women’s tennis athlete to take the honor in consecutive seasons, the first being Anna Widen in 1998 and 1999. Overall, this is the ninth time a Huskie has been named to the MAC All-Academic women’s tennis team. NIU also had four honorable mentions for the team. Stephanie McDonald, Haley Dekkinga, Cristina Alvarez and Mary Malkin were mainstays on the courts all season, and they garnered consideration from the MAC for their strong academic results as well. 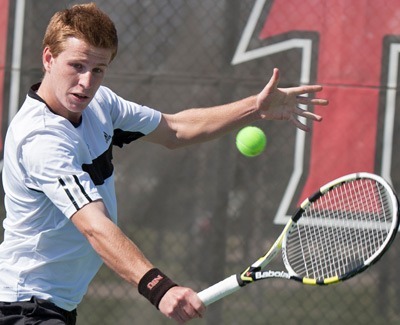 For more information on NIU tennis and Huskie athletics, visit www.niuhuskies.com.